A hotel worker was also injured in the incident in Edinburgh's Grassmarket. Grassmarket: The attack happened on Thursday morning. A man has been arrested after two women were stabbed outside a hotel in Edinburgh. 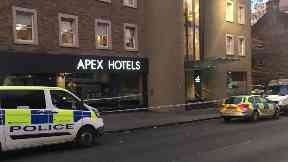 The incident happened by the Apex City of Edinburgh Hotel in the Grassmarket in the early hours of Thursday. A man who works at the hotel and came to the women's aid was also stabbed. Police Scotland said a 38-year-old man has been arrested in connection with two attempted murders and a serious assault. 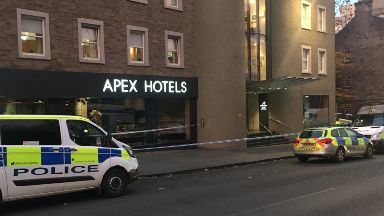 The women aged 58 and 60, and the 37-year-old man, received treatment at the Royal Infirmary of Edinburgh following the attack at around 3.35am.